This study focuses on the connection between the Old and New Testaments. Deepen your longing for the Messiah's coming again and ask God to be Emmanuel, "God with us." This study has 4 sessions, incorporating an introductory session and 3 lessons. The Study Set includes a Study Guide by Catherine Upchurch, and a commentary, Advent of the Savior, by Stephen J. Binz. Stephen J. Binz is a biblical scholar, award-winning author, and popular speaker. He studied Scripture at the Pontifical Biblical Institute in Rome and Jerusalem, and has developed dozens of books and programs in biblical theology and spirituality, including The God of Freedom and Life: A Commentary on the Book of Exodus and Panorama of the Bible: Old Testament and Panorama of the New Testament (Liturgical Press). He offers keynotes and workshops at church conferences and leads pilgrimages to the lands of the Bible. Information about his work may be found at Bridge-B.com. 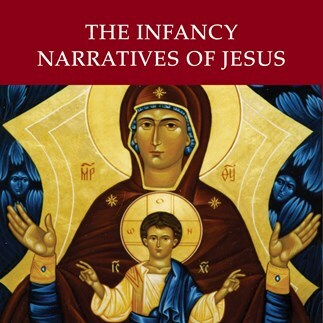 These lectures correspond to the four sessions outlined in the Study Set for The Infancy Narratives of Jesus.